Manufacturer of a wide range of products which include aluminium jali 14x14 ss finish, aluminum wire mesh, stainless steel wire mesh, pvc wire mesh, aluminum grill mesh and fibre wire mesh. we provoid aluminium jali 14x14 ss finish for sliding window.send us your enquiry & we will get back to you with best quility. 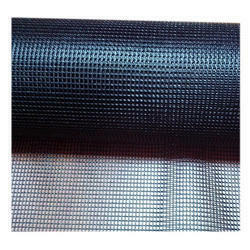 We have uniquely positioned ourselves as a dependable firm, engaged in manufacturing, trading and supplying a commendable array of Aluminum Wire Mesh. 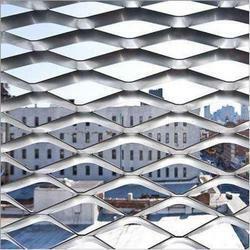 This wire mesh is manufactured using excellent quality aluminium and latest technology by our skilled professionals. In order to ensure quality, this is stringently tested against various quality parameters by our experts. Apart from this, remarkable quality and precise design increase the demand of our offered range in the market. 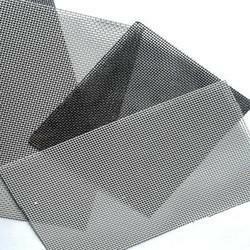 We are an acclaimed entity, engaged in offering a qualitative assortment of Stainless Steel Wire Mesh. Being a quality-oriented organization, we assure our clients that this wiremesh is best in quality. Our skilled professionals only utilize fine quality stainless steel, while manufacturing the entire range. Moreover, our offered range can be availed in a wide range of sizes and shapes, as per the requirements of our esteemed clients. To keep the client satisfied, we manufacture, trade & supply high quality PVC Wire Mesh. Being a quality-oriented organization, we assure our clients that this wiremesh best in quality. Our skilled professionals only utilize fine quality assured PVC, while manufacturing the entire range. Moreover, our offered range can be availed in a wide range of sizes, dimensions and shapes, as per the requirements of our esteemed clients. 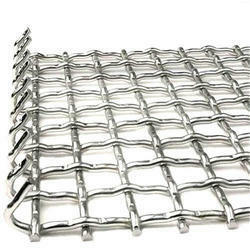 We are engaged in the manufacture of premium-quality Aluminum Grill Mesh. They are fabricated using high-quality Aluminum in compliance with industrial norms and guidelines. They are made at our advanced infrastructure unit by employing latest machines and equipments. They are available to clients in accurate designs and patterns and are well-known for their sturdiness and durability. They have a flawless surface which is resistant to corrosion and abrasion. They are easy to install and require negligible maintenance. They have a light-weight structure, owing to which they can be easily moved from one place to another. 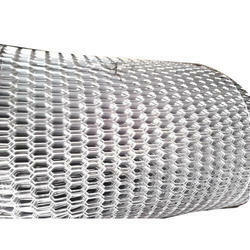 They are available in different mesh sizes and are widely used as ventilation grills. We offer them to our clients in customized sizes. Consistent innovation, coupled with a thorough understanding of customer's needs & demands, makes us the most renowned manufacturer, trader and supplier of Fibre Wire Mesh. Our offered range is strongly built with quality fiber and the latest technology. We assure that our offered range is outstanding on counts of durability and quality. Keeping in mind the diverse requirements of our clients, we provide the entire range in various customized options and at affordable price.